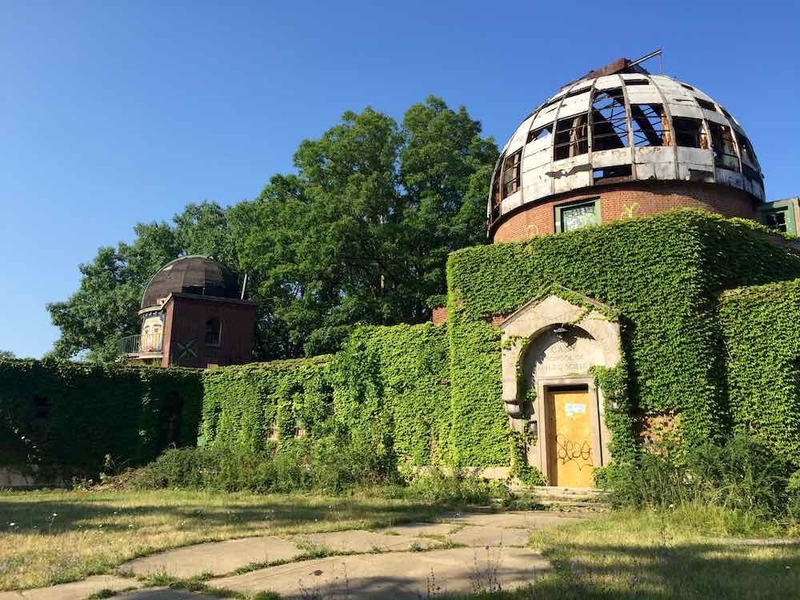 On a high, grassy knoll overlooking East Cleveland stands the Warner & Swasey Observatory. Once a scientific landmark, today it is a bleak sentinel. 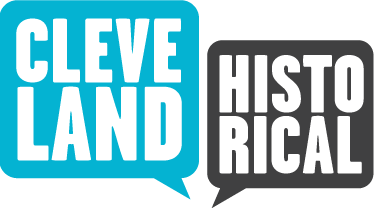 Although it operated for more than sixty years, offering what the Plain Dealer called "a plumb line to the heavens," light pollution from a growing Cleveland reduced its usefulness with each passing year so that by midcentury it was no longer a reliable resource for astronomical research. The Warner and Swasey Company, maker of machine tools and precision instruments, got its start in 1880 when Connecticut machinists Worcester Reed Warner and Ambrose Swasey decided to go into business for themselves. 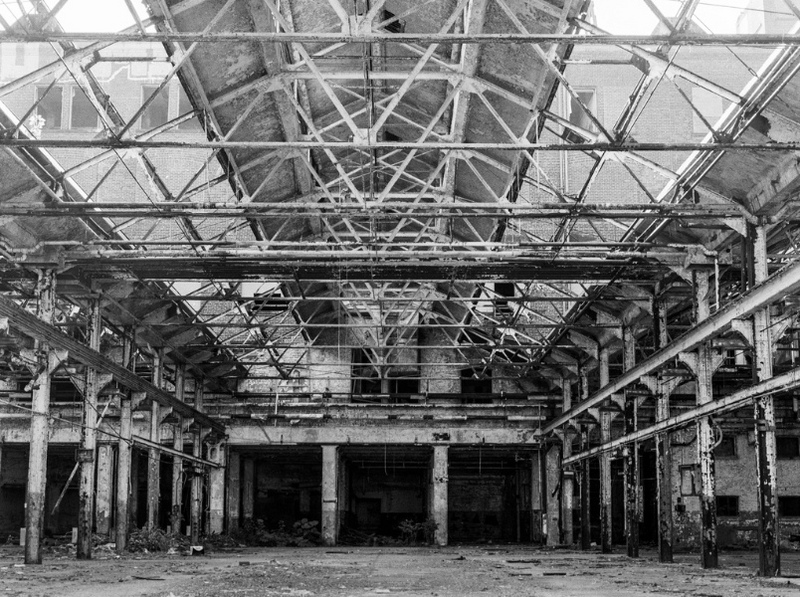 Moving to Cleveland, eventually they built a large factory on Carnegie Avenue at East 55th Street to manufacture turret lathes and telescopes. Their products found military uses during both world wars, and they built a number of telescopes for leading observatories, including the University of California's Lick Observatory, which reigned as the world's largest refracting telescope for about a decade in the late 19th century, and the U.S. Naval Observatory. Warner and Swasey operated in Cleveland until being bought out in 1980 by the Bendix Corporation. Warner and Swasey became trustees of Case Institute of Technology. 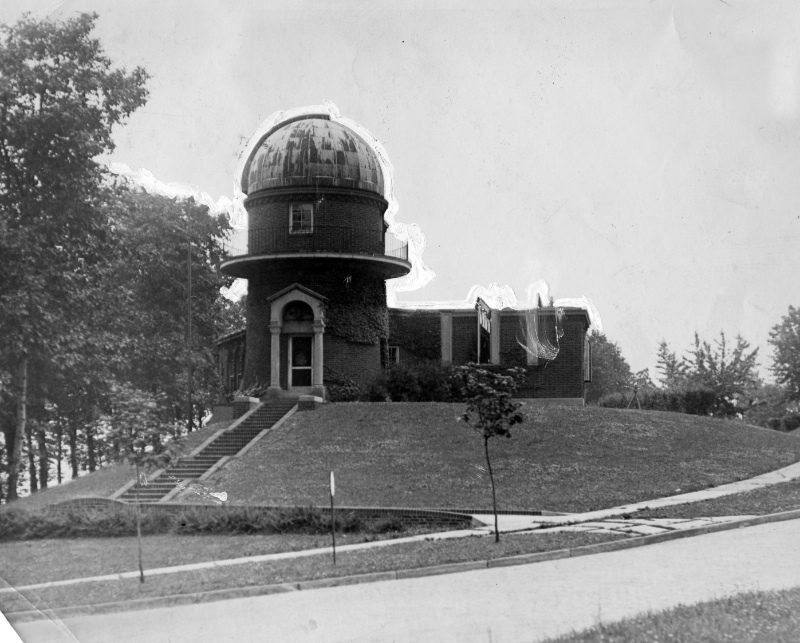 Among their many gifts to the institution was the Warner and Swasey Observatory. 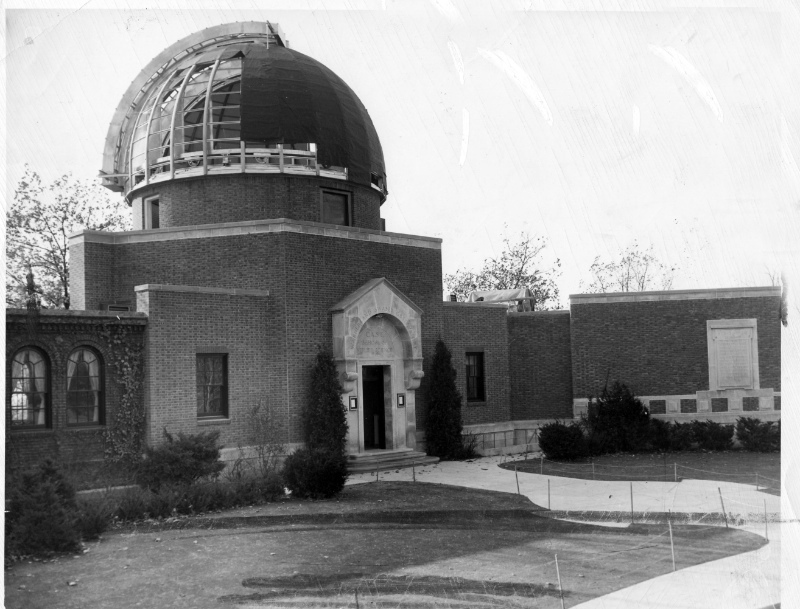 Designed by the renowned Cleveland firm of Walker and Weeks and situated some 270 feet above the level of Lake Erie, the observatory, which opened in 1920, was equipped with a Warner and Swasey-built 9.5-inch refractor. Unlike today's telescopes, which use mirrors to reflect light from objects in space to form an image, older refracting telescopes utilized a lens to refract, or bend, light and render an image. The initial telescope was used until 1941, when the company delivered a much more powerful, 24-inch telescope, the Burrell Schmidt, housed in a second dome. The observatory mounted groundbreaking studies in the early 1950s, including one to prove the theory that the Milky Way was a spiral galaxy and another that found that cooler stars (red giants) were mainly near the center of the Milky Way. But these discoveries marked the twilight of the observatory's short-lived heyday. When light pollution--a common problem for observatories located near cities--became insurmountable in the 1950s, Case acquired a new site for the Burrell Schmidt telescope near the "chimney" of Geauga County, some thirty miles east of its original location. 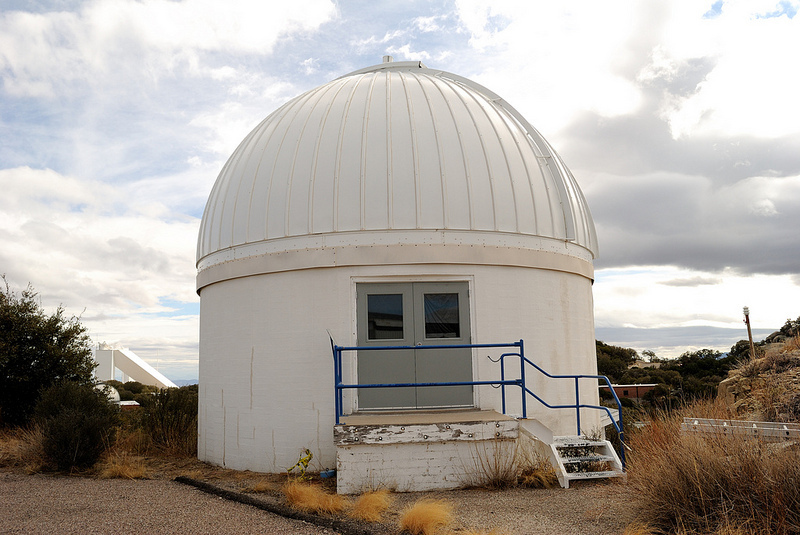 There it operated from 1957 until 1979, when it was again moved to Kitt Peak National Observatory in Arizona. Meanwhile, the Warner and Swasey Observatory was outfitted with a 36-inch telescope. 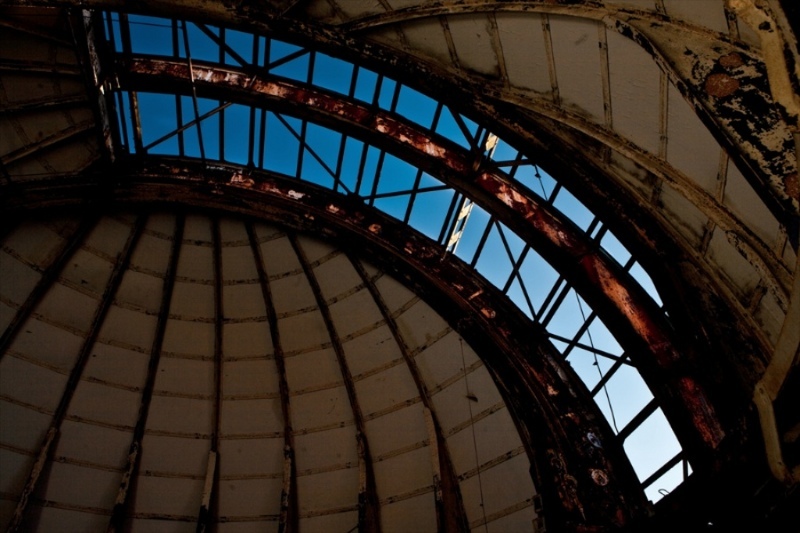 Hailed as the nation's finest for public viewing, it operated for more than twenty years until the observatory closed permanently in 1980, the same year that Warner and Swasey sold out to Bendix. Just as its maker's success led to a corporate takeover that ultimately brought its liquidation, the observatory itself succumbed to a byproduct of the relentless expansion of the city that had attracted two young machinists westward a century before. Today one can still find the original refracting telescope built for the observatory. Since 1982 it has operated in a small dome atop Case Western Reserve University's Albert W. Smith Building. "It Wasn't That Great a View"
Barbara Wherley recalls her difficulty seeing anything very impressive through the telescope in a night sky compromised by city lights in the early 1960s. 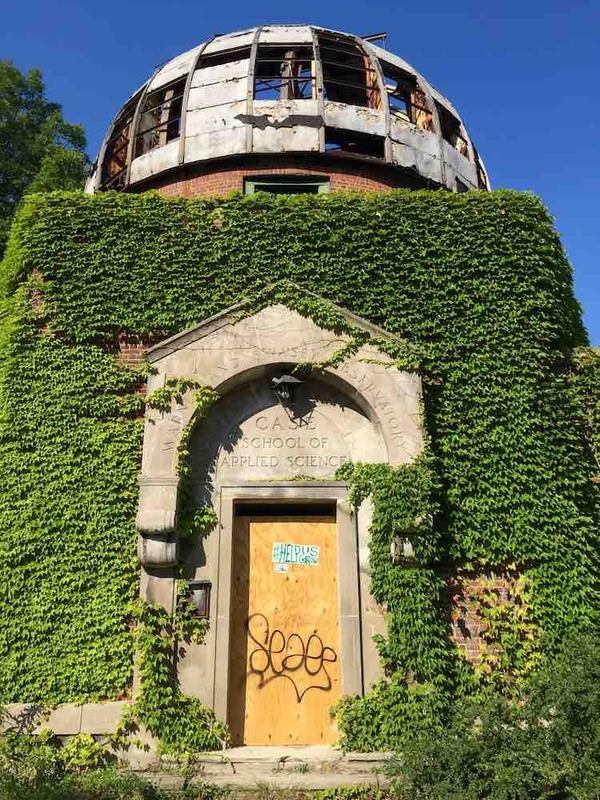 The observatory is abandoned and boarded up. J. 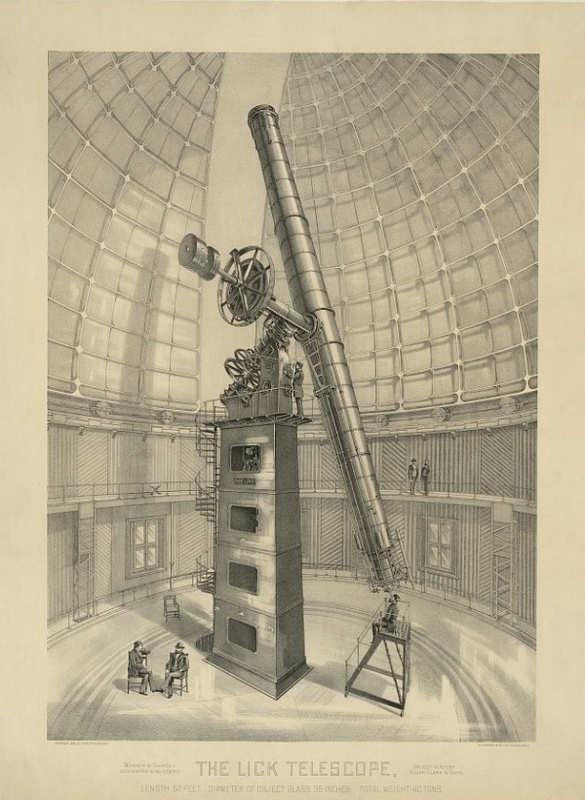 Mark Souther, “Warner and Swasey Observatory,” Cleveland Historical, accessed April 19, 2019, https://clevelandhistorical.org/items/show/551. Published on Sep 14, 2012. Last updated on Apr 18, 2017.